Designed to be the perfect key light, the small OctoDome bathes facial features in bright, soft light and works well in tandem with the HalfDome or LiteDome. 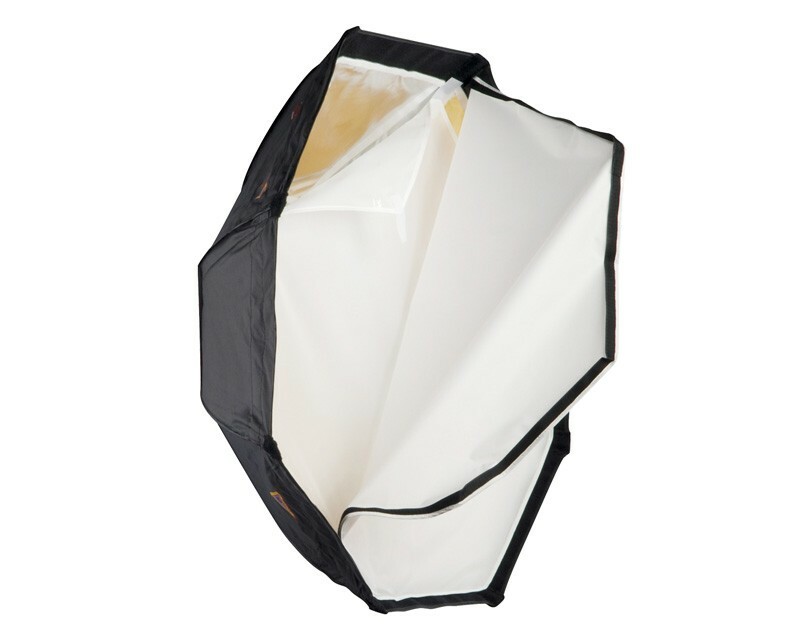 The 5 foot OctoDome® has a unique, 8-sided shape and narrow profile that give you big box light spread in a space-saving soft box. Its broad, wrap-around light is perfect for traditional head-and-shoulders portraiture. The OctoDome is designed to work with most strobe lights. The internal baffle eliminates hot spots, working with the face diffuser to deliver beautiful, diffused light. Four removable gold and silver inner panels are included, allowing for a range of lighting possibilities. Removable, interchangeable silver and gold panels over white interior.